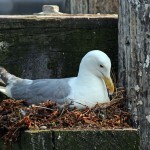 The nature of the seagull sees their attempt to make nests and breed each year at the same location. In addition, this will lead more young on the roof and recurring increase in population each year should no control be put in place. 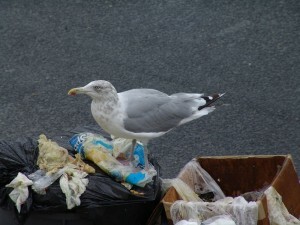 Gulls cause a nuisance in shopping areas, are noisy, foul cars and buildings, tear open refuse bags when protecting young during their breeding season (April – September). Similarly, their aggressive behaviour can be intimidating to your employees and/or visitors. In addition, the presence of attacking seagulls can pose a health and safety risk for contractors and/or staff working in and around roof areas. Our nest removal programs are a long term treatment. They require regular clearances every year in the problem area. 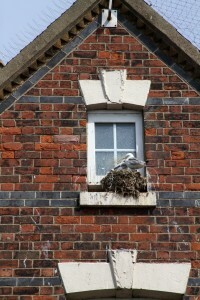 Once the gulls have moved on due to unsuccessful nesting in the previous problem areas, the visits can become less frequent. Any action taken must be justified in terms of the General Licenses. All our works are compliant with the Wildlife and Countryside Act 1981. Droppings can result in damage to the structure of your buildings if it is not dealt with correctly. Nesting hotspots are roofs, balconies, ventilation areas, and lofts all providing birds with shelter. When used regularly by bird pests, bodily secretions can accumulate which are a health and safety issue and cause corrosion. Bird faeces carry bacteria. In addition this can compromise your immune system. This can lead to diseases, including: Cryptococcosis, Histoplasmosis and Psittacosis. An effective bird clearance service from Europest ensures human health issues are eradicated. In addition, our work also preserves the life of the contaminated surface.